BRUSSELS – From 1 January 2018 Bulgaria will be taking over the six-month presidency of the Council of the European Union for the first time since joining the EU 10 years ago. Coming between the Estonian and Austrian Presidencies, the country will be responsible for handling the last initiatives of the Juncker Commission and negotiating several controversial political dossiers that will have significant impact on the future of the Union. But what will be on the Presidency’s agenda when it comes to climate, energy and transport policy? We take a closer look below. BRUSSELS – From 1 January 2018 Bulgaria will be taking over the six-month presidency of the Council of the European Union for the first time since joining the EU 10 years ago. Coming between the Estonian and Austrian Presidencies, the country will be responsible for handling the last initiatives of the Juncker Commission and negotiating several controversial political dossiers that will have significant impact on the future of the Union. But what will be on the Presidency’s agenda when it comes to climate, energy and transport policy? We take a closer look below. In practical terms, Bulgaria presidency role will entail driving forward the Council’s work and defining its positions on EU legislation, ensuring the continuity of the EU agenda, orderly legislative processes and cooperation among member states. 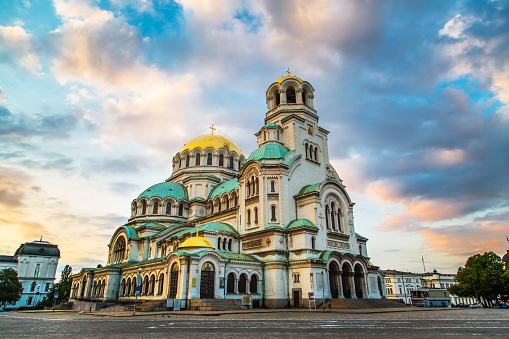 The Bulgarian Presidency will be taking over the challenging task of securing consensus within Council on a number of contentious legislative files, including the ongoing reform of Energy Efficiency- and Renewable Energy Directives. In particular, at stake will be the ambition level, design and determining whether these targets will be translated into binding national obligations. All these discussions will be linked to the Energy Union Governance, a new regulatory instrument proposed by the Commission as a tool to ensure all Member States fulfil their energy and climate commitments, under the Commission’s oversight. More concrete issues embedded in these pieces of legislation are also likely to trigger vivid discussions between institutions: the future of alternative renewable fuels for transport which will condition any agreement on the Renewable Energy Directive (REDII); the conditions under which electricity markets should be redesigned and how they should address the transition towards secure and cleaner electricity; or how to uncap the full potential of energy efficiency. It is yet to be seen if the institutions will meet their own expectations and conclude an agreement on the Energy Performance of Buildings Directive (EPBD) before Bulgaria takes over the Presidency. Read more on Bellona’s latest position and progress on the REDII here and EPBD here. An agreement was recently reached between Parliament and Council on the reform of the EU Emissions Trading System (EU ETS). This means that the Commission will soon be designing related implementation measures, including the modalities for the Innovation Fund and the Modernisation Fund – both of which, if properly designed, could offer some funding for Carbon Capture and Storage (CCS) deployment. As a potential recipient country, Sofia will be closely involved in this process. Meanwhile, the Presidency may have to continue challenging trialogue negotiations around the proposed Effort Sharing Regulation (ESR), recently launched after Council reached a common position. This is the counterpart of the EU ETS which sets national targets to reduce emissions from non-ETS sectors for the 2021-2030 period (including energy, transport, industrial processes and product use, agriculture and waste). Towards the end of the Bulgarian Presidency, the Commission is expected to publish two non-legislative papers: one on the future of EU energy and climate policy, and another on the implementation of the Sustainable Development Goals in the context of the Paris Agreement. The Commission is also undertaking a re-modelling of the 2050 low-carbon roadmap. A new 2050 greenhouse gas emissions reduction objective may be elaborated as part of this exercise, and earlier in September Commissioner Canete already hinted at the need for the EU to consider a 100% (as opposed 80%) decarbonisation target by mid-century. Depending on the timing, Sofia may have to help facilitate a Council response to these newly proposed objectives. Sofia’s residents are exposed to the most toxic air pollution levels in all Europe. Two main contributing sources include old vehicle engines as well as wood and coal heating. Sofia municipality acknowledges the urgent need to act, and has already taken some first steps including plans for the procurement of electric buses and extension of its metro system, and is considering further measures such as driving bans and drastic increases in parking fees. Air pollution is an issue that Bulgaria will also be dealing with closely at the EU level during its presidency. More concretely, the presidency will continue work on legislative initiatives governing vehicle emissions. Bulgaria will also organise a conference on intermodal transportation, under the leadership of Transport Commissioner Violeta Bulc. Further on, the Bulgarian Presidency and the European Commission will be co-organising a high-level conference on Eco-innovation for Air Quality in Sofia from 5 to 6 February 2018. Following last month’s 2nd Mobility Package, and with the 3rd and final Package expected in spring 2018, the Commission is expected to progress work on the revision of CO2 emission standards for cars and vans, as well as for the very first time, propose standards to curb ever growing emissions from currently unregulated trucks. Given its own important long-distance road haulage sector, Bulgaria will focus on advancing the vehicle emission framework which will determine the contribution of the sector to the EU’s energy and climate goals, as well as impacting the competitiveness of vehicle manufacturers. Another important issue is the possible introduction of distance-based road charging across the EU, following the Revision of the Eurovignette Directive. This could have far-reaching consequences for Bulgaria’s own road transport sector. The Parliament’s Transport Committee is expected to form its Opinion on this by May 2018, so Sofia has until then to hammer out a common position in Council. When it comes to the Commission’s proposal for the reform of fuel economy standards for light duty vehicles, Bellona was greatly disappointed with the lack of ambition of the emission reduction targets set for 2025 and 2030 (of 15% and 30% respectively), as well as by the Commission’s failure to table an effective ‘zero emissions vehicle’ mandate to stimulate the European market for electro-mobility. The repercussions of this missed opportunity will be equally damaging for our climate, human health as well as Europe’s industrial competitiveness. Speaking of industry, Bulgaria is set to launch discussions on a future EU long-term industrial strategy, likely to feed into the next EU legislature’s policy mandate. Provisions of the newly tabled proposals will be heavily contested by both Member States and the European Parliament, and significant efforts will be required to advance discussions so a deal can be reached before the European elections in early 2019.